The Camp 16 speed folding bike is a well rounded model that is perfect for everyone from entry level riders, right through to enthusiasts! Recently I managed to get my hands on the latest Camp 20″ alloy 16 speed folding bike from my local cycling shop, as soon as I picked it up I immediately rushed home and got it out of the box. My first impressions were really positive, the bike looks absolutely stunning and it is without a doubt one of the best looking models that I have ever come across. 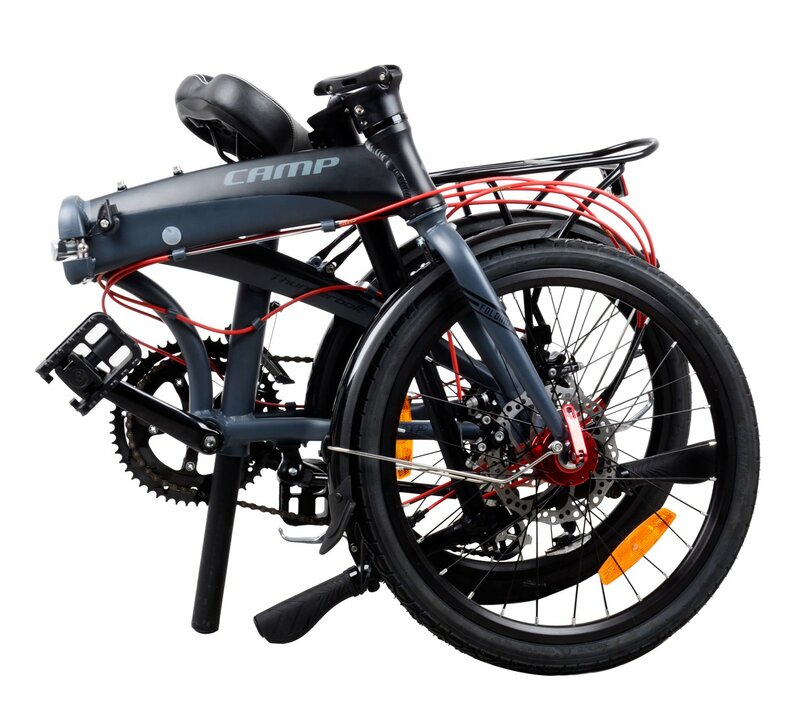 Camp have been producing folding bikes for many years now and are highly regarded by riders across the world. They are a manufacturer that puts riders first, every single component has been hand selected for each bike and you can really tell when you get to try one out. Camp are consistently producing world renowned folding bikes and their latest addition is absolutely fantastic - we loved every minute on this beauty! The Camp 16 speed folding bike has 20″ wheels that are, in my opinion, the most ideal size if you are searching for a truly well rounded folding bike model. While they are clearly not quite as rapid as a full sized road bike or mountain bike, they are certainly faster than your typical 16″ or 18″ folding bike. Furthermore, the aluminum alloy frame that Camp have installed on this bike is exceptional, it’s not only very lightweight, it is also extremely durable too. What is currently the best folding bike available? Follow this link to discover our detailed list of all the Best Folding Bike Reviews that you can purchase today! 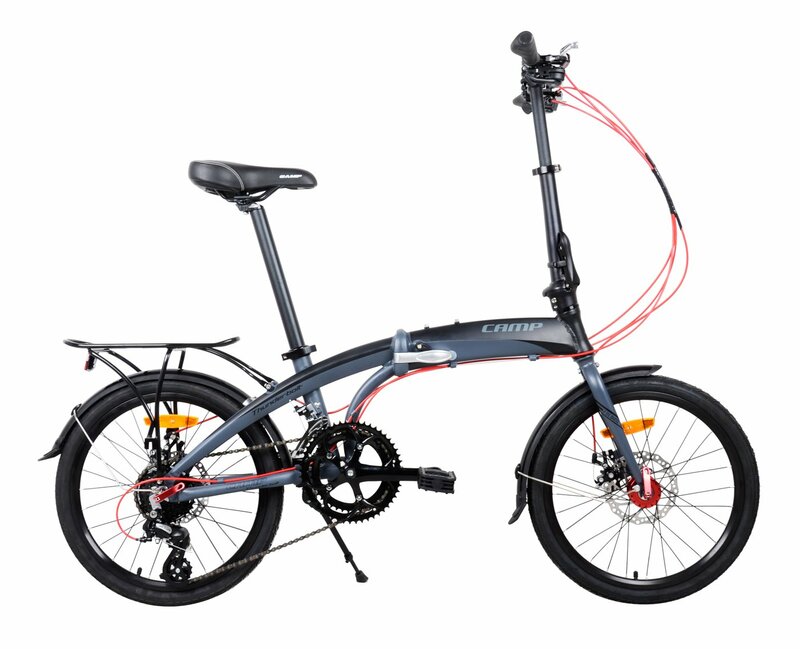 You can pick up the Camp 20″ alloy 16 speed folding bike in a range of different colors, to add to this fact – this model is exceptionally adjustable and so it is not difficult to get any bike perfectly aligned for your requirements. If you choose to buy one of these bikes, expect to have a smooth ride at all times and to never feel uncomfortable. The folding mechanism functions by use of an easy-fold magnet, this essentially enables the bike to be folded away in under 10 seconds – this is extremely quick for any folding bike, let alone a 20″ version. Camp have provided an adjustable kickstand, fender and also a rear cargo rack that is extremely useful for those of us who like to carry things with us on our travels. I think that this folding bike would make a perfect addition to casual riders and enthusiasts alike, if you need a bike to use to get to and from work then you should definitely consider this beauty. All in all you should definitely consider Camp’s latest addition, this bike really does have everything, it performs well in a range of different scenarios and does anything you ask of it very well too.